Across the Alpine regions of northern Italy, artisans share common traditions with their Swiss, German, and Austrian neighbors to the north: everything from copper cookware to woolens and cuckoo clocks. And many of those traditions share one thing in common: they can be carried out indoors during the winter months, when snow blankets the higher elevations and isolates villages. From this unique set of geographical and cultural circumstances come masterpieces of ceramics, woodcarving, lace, copper, textiles, and small objects carved from horn and bone. At Christmastime, craftspeople display the fruits of their winter labor at many of the regions’ bountiful Christmas markets. 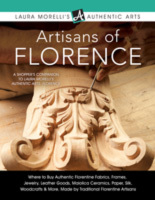 Of all the Alpine craft traditions of Italy, woodcarving reigns supreme. In Trentino, a region locked within the rugged Dolomite mountains, the tradition of woodcarving goes back at least to the Middle Ages. This centuries-old love of carving native linden wood and pine also extends northward into Alto-Adige and over the border into the Tyrol region of southwest Austria. In fact, in this “in-between” borderland zone of northern Italy, Italian and Austrian cultures coexist in a disconcerting and wonderful way. A strong Teutonic accent in the local language reflects centuries of bicultural community-building, and artisans continue a tradition of making toys, ornaments, and nativities that for visitors, truly makes Christmas the most wonderful time of the year. Craft guilds sprang up across the mountainous regions of northern Italy during the Middle Ages, and the carving of wooden objects became one of the most common ways that people in the region made their living. By the sixteenth century, woodcarving constituted a booming industry across Trentino, especially in the lush valley known as the Val Gardena. Artisans crafted religious sculptures destined for town churches and lone chapels on Dolomite mountain peaks. Rustic Madonnas and vivid saints enlivened the otherwise sparsely decorated chapel interiors. The town of Ortisei, northeast of Bolzano near the Austrian border, emerged as a major center for woodcarving toward the seventeenth century. Also called by its German name, Urtijëi, Ortisei is nestled in the Val Gardena and boasts a centuries-old tradition of artisanal woodcarving. When the railroad first brought tourists to Ortisei in the nineteenth century, the woodcarving industry flourished, counting more than three hundred woodcarvers in the small village alone. When the English novelist Amelia Edwards stepped off the train in 1873, she proclaimed Ortisei “the capital of toyland.” We can only imagine that it must have been a sight akin to the North Pole. Today, the Val Gardena still boasts a healthy number of artisans and prosperous family woodcarving businesses that export their work. Artisans across the region keep alive the centuries-old craft of creating wooden sculpture by hand. Many of them carve traditional nativities and statues of linden wood and pine, but others have pushed tradition in new directions with more modern compositions. From whimsical, gnome-like figures to handmade toys, wooden tableware, and stunning painted nativity scenes, these pieces make great gifts and collectors’ items. Orders from far away keep these family enterprises in business, and they regularly ship nativities, crucifixes, and other religious works to churches and individual collectors around the globe. If you’re making a trip to Italy in December, the Alpine regions boast a number of renowned Christmas markets, where you can find hand-carved nativities, ornaments, and toys alongside other handmade goods. In addition to artisanal wooden souvenirs, regional wine and culinary specialties take center stage. The markets are a great place to sample everything from chestnuts to mulled wine, Alpine honey, sausages, cheeses, and homemade spirits. In Trentino, the largest of the Christmas markets is the famous Trento market, but smaller mercatini di natale are held in the towns of Arco, Levico, Rango, and Rovereto. Many artisans who may not operate retail shops come out to display their wares at these wonderful markets, and it’s a great opportunity to meet them face to face. In the town of Ortisei, it’s Christmas all year round, so whenever you visit this lovely village, you can go home with a handcrafted treasure in your suitcase. Be sure to visit the local artisan workshops where you can watch these master craftspeople transform linden wood and Swiss pine first-hand into Christmas masterpieces. Start with the local museum to view nativities from centuries past. 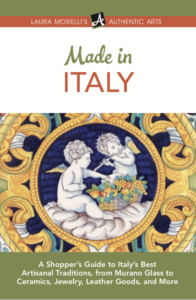 Finally, don’t forget that one of the best immersive experiences you can have in Italy is commissioning an artisan to craft something special just for you. 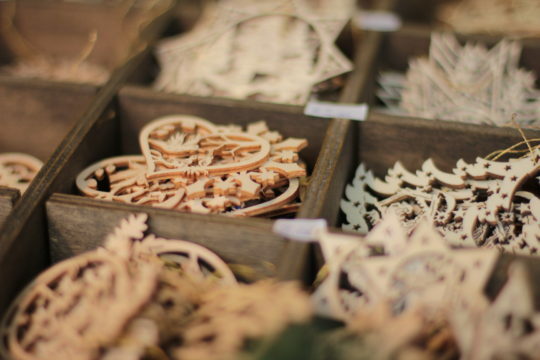 Italian craftspeople are masters of the made-to-order, and in Trentino, carvers can turn your Christmas wish into reality. All you have to do is ask. 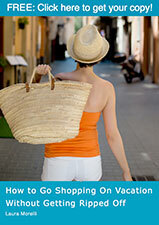 Read more about the artisanal traditions of Trentino Alto-Adige in my guide, Made in Italy.